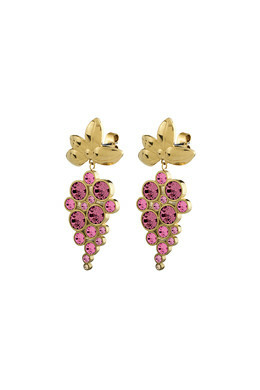 These beautiful flower shaped drop earrings, in the shape of a grape vine are both elegant and very remarkable. 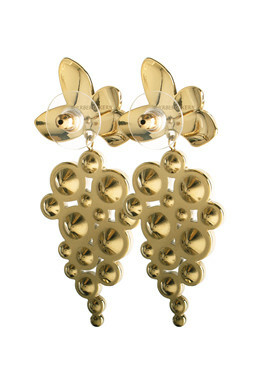 The shown earrings have a shiny gold toned finish set with sparkling rose-coloured Swarovski-crystals. The earrings let you sparkle in the daytime as well as on nights out. Studded and with a butterfly closure.